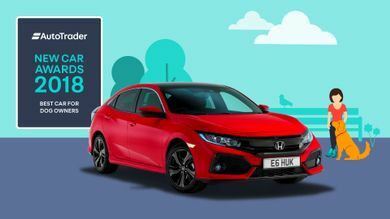 With 153 new and 3,702 used Honda Civic cars available on Auto Trader, we have the largest range of cars for sale across the UK. 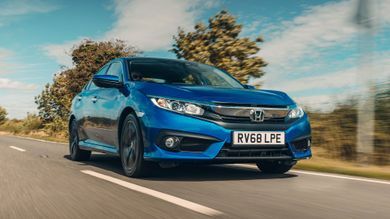 Road Test Editor Ivan Aistrop has spent the last six months with Honda’s small family car, to see if it could deal with the needs of his small family. What is the top speed of the Honda Civic? Honda Civics offer a top speed range between 124mph and 169mph, depending on the version. How much does the Honda Civic cost? 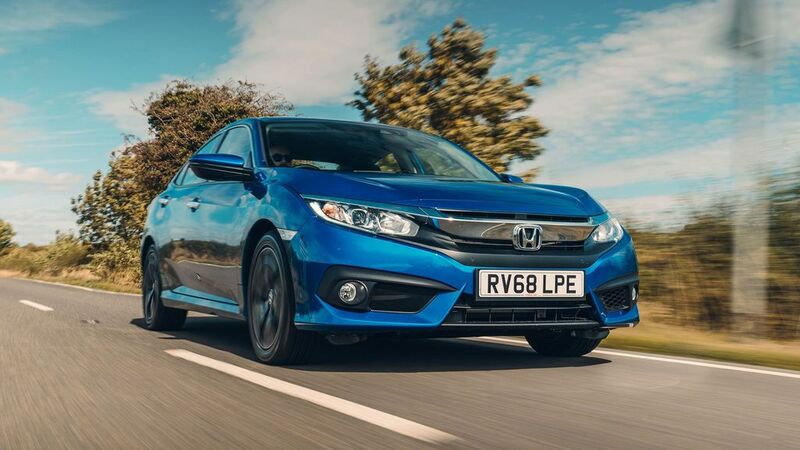 Honda Civic on-the-road prices RRP from £19,305 and rises to around £33,550, depending on the version. How much mpg does the Honda Civic get? According to the official figures, the Honda Civic's fuel economy ranges between 36mpg and 81mpg. What is the tax price range of the Honda Civic? What kind of car is a Honda Civic? The Honda Civic is a mid-sized family car that’s available in five-door hatchback and four-door saloon body styles. It competes with cars such as the Ford Focus, Volkswagen Golf and Vauxhall Astra. A high-performance version, called the Type R, is also offered. Where do they make the Honda Civic? The Honda Civic hatchback is built in Honda’s European factory in Swindon, along with the high-performance Type R version. The Honda Civic saloon is built in Çayırova, a town in the Kocaeli Province of Turkey. What dimensions is a Honda Civic? 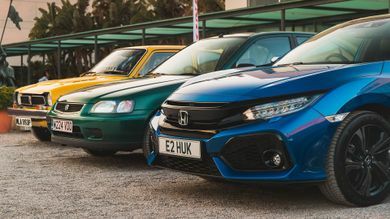 The Honda Civic hatchback’s dimensions are 4,518 mm L x 2,076 mm W x 1,434 mm H. The sporty Civic Type R hatchback is slightly longer, measuring 4,557 mm L. The Honda Civic saloon measures 4,650 mm L x 2,076 mm W x 1,415 mm H.